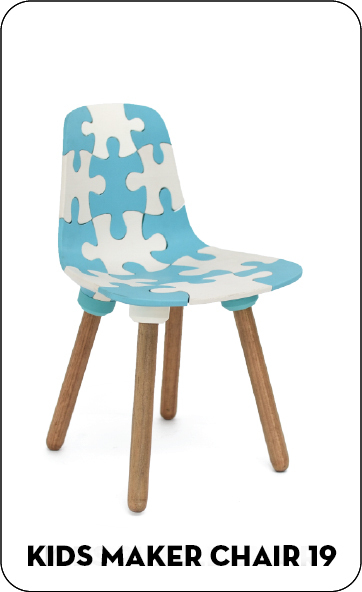 The KIDS MAKER CHAIR P39 is ready to be printed at your home. 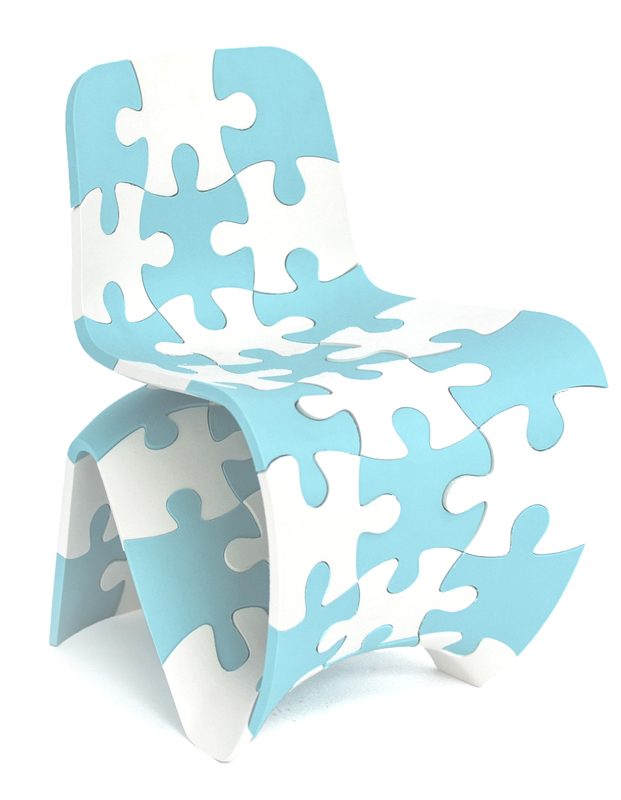 The chair has 39 puzzle pieces with snap connectors. 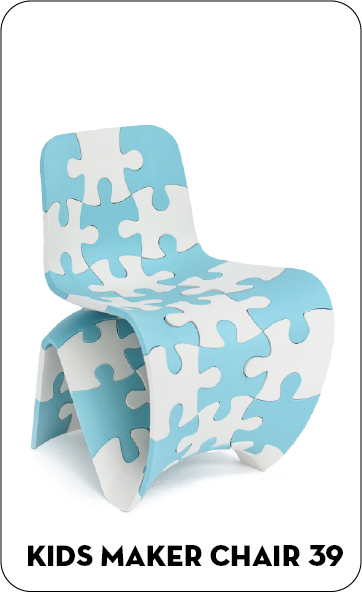 The average weight of a pieces is 170 grams, so 3,5kg filament of each color should be enough to build one chair. The pieces should be printed with 2.85mm ABS and the printer settings can be found in the manual included in the download. 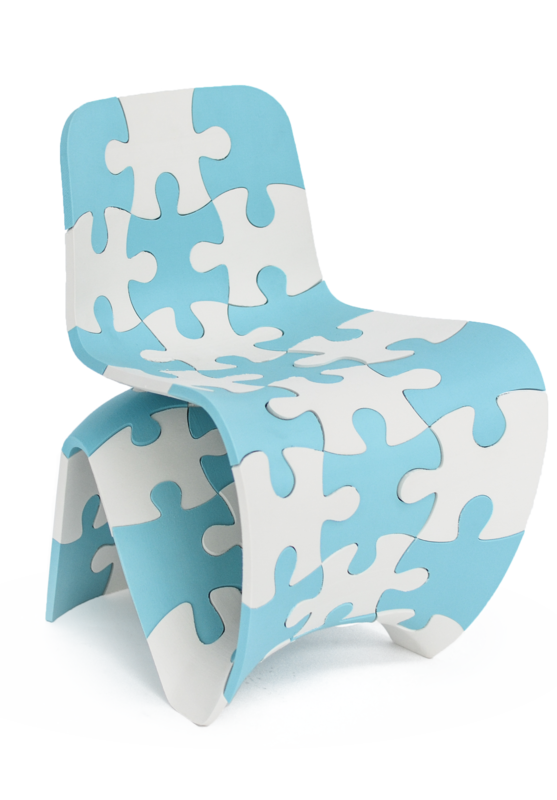 You can either download the 3D print files or let the Kids Puzzle Chair P19 made for you at 3DHubs. Look for the cheapest hubs in your neighbourhood! Feel free to experiment with your own printer and settings, but remember that you are responsible for your print. Make sure your pieces are strong enough to withstand some force and make safety your number one priority! 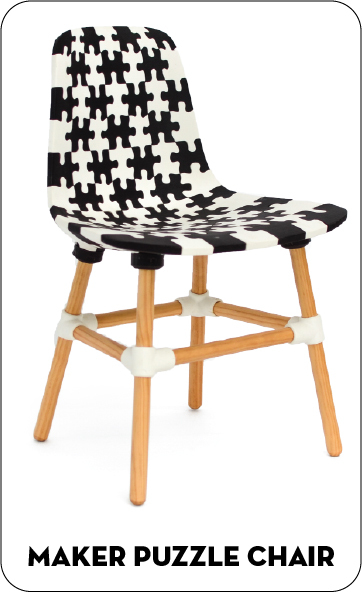 If you print one of our chairs, we would love to see it!